This ff is about swalak …and if u want I can add ragsan. And ALL other casts who were in swaragini. So MY ff starts the day when it was swalak marriage and ragini thrown swara in river . Sanskaar mental truth came infront of everyone. Laksh was in shock. Sanskaar went out to search swara. Ragini pretended to suicide when dida accused of swara missing. Laksh saved ragini and agreed to marry her. Sanskar found swara in hospital and other side Ragini getting ready as bride. After sometime laksh sits in mandap with ragini in disturbed mood. Dida asks laksh to wait sometime. Laksh was lost in swara thought. That was all .In next part main story will lead . 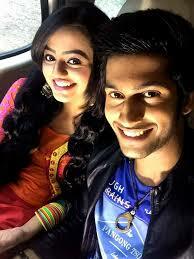 Guy’s if u ragsan then Pliz tell me ok.
Oh btw Iam Ashvi Taneja .Im from Australia. Fan of swaragini . I LOVE All the ffs. U guys r killing it. Rashmi ma’am made swasan and raglak. So I thought y not I make swalak and maybe ragsan too. Iam not gud in writing. Sorry for mistakes .